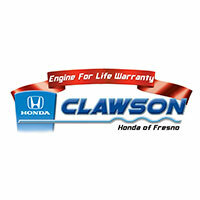 Visit the Clawson Honda of Fresno service center to be treated like family while your Honda is getting serviced. When you’re in need of Honda repairs, maintenance or service, you can rest assured that our expert Honda technicians will perform fast, accurate service that can help you save and drive with peace of mind. We believe in being open and honest about the price of any repair and will always contact you if we recommend a service that may change that estimate. For over 40 years, our Honda service center in Fresno, CA, has faithfully served California drivers with high-quality repairs and maintenance. At our Fresno Honda service center, we believe in offering a diverse range of vehicle services so we can be your one-stop shop. Whether you need a Honda oil change, A/C service, brake repair, battery test, tire rotation or even a California State Inspection, we can take care of it all at the Clawson Honda of Fresno service center. We can run diagnostics tests to quickly identify issues, and our inventory of OEM Honda parts ensures we’re using high-quality components when replacing the parts in your Honda car or SUV. Our Honda service technicians can handle everything outlined above and more, including Honda suspension service, shocks and struts, engine replacement, axle replacement and more. Plus, our OEM Honda parts center makes it easy to swap out components like windshield wipers, headlamps and other necessary parts. Visit Clawson Honda of Fresno for a tune-up or more extensive Honda service today!